This beauty is a beast! We're excited to have this 2012 Audi R8 5.2 Quattro Convertible in the showroom. If your idea of a supercar is one with concept-car styling, aggressive performance and an interior filled with creature comforts, the Audi R8 is an appealing choice. Perhaps more significantly, it's an exotic that's easy to live with on a daily basis, a car that is at home on both road and track. It's 5.2L V10 engine sends 525hp through it's AWD driveline and 6 speed automatic transmission, but maintains it's sophistication at any speed. 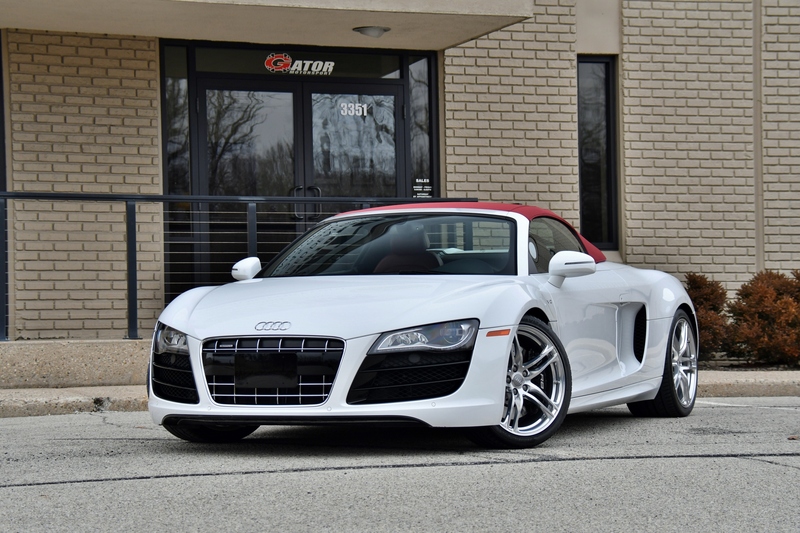 Audi R8's only last a few days in our showroom, so stop by soon and check it out! The comes with a clean Carfax, 2 wireless Fobs, Owners Manual. The car has just arrived and will go through our inspection and detailing.